Virtual Tour: Welcome to 1600 1st St, Unit C. This 3 bed, 3 full bath town home features generous covered parking below the unit and on the driveway enough for 5 cars. Also a great spot to hang out after dark or during a rain storm. There is a large storage room down there full of all the beach toys you could need, a pop up canopy, and 2 bicycles. Up the stairs you will enter onto the main floor living and dining room, kitchen and 1st bedroom. All of the bedrooms feature walk in closets and en suite full baths, and balconies. The kitchen is small but very functional with everything you could need including a dishwasher, microwave, flat top stove, and side by side refrigerator with water and ice in the door. Up another set of stairs you will reach the top floor. The laundry suite is centered between the other two bedrooms, making for a split configuration for optimal privacy. The bedrooms both feature walk in closets and en suite full baths, and balconies facing west. Each bedroom has it's own TV and there is also a TV in the living room, so everyone can watch what they like! The dining table sits 6 people with ease...Don't miss out on this unique and spacious beach home away from home! Professional Lakeland couple with 5yrs rental experience who are pleased to share this beach home away from home with you! Walk to bars, restaurants, the beach of course, the park with tennis courts, play structure, shuffle board, wall ball, skate park, basketball, and baseball, is just a short walk down the street! A beautiful waterfront church with weekly yoga classes is just across 1st St. The local art/craft center and city hall's police station just a block away, makes this neighborhood so safe, you can wander whenever the spirit moves you. It is just so relaxing, you need to experience it for yourself! (4) TV in every room! We were delighted with the home for our 7 day stay in December. The layout was perfect for our family of 5 and one dog. My family appreciated being near the beach, shops and restaurants in a quiet neighborhood. The property owners are excellent hosts. We will definitely be back! Spacious, clean, and updated! Great location! We spent the spring of 2017 and 2018 at this condo. As the pictures show it's spacious, clean and updated. You can watch the sunrise in the morning and the sunsets in the evenings. It's only a couple blocks to the gulf. You can hop on the trolley and explore the many amenities the island has to offer, such as Johns Pass, St. Pete beach, and Clearwater beach. It's an easy walk to many bars and restaurants! During our stays we incurred a few minor issues and when we brought them to Heather's attention they were resolved that same day. We really enjoyed our experience and highly recommend it. This rental went above and beyond my expectations! The owner's went above and beyond to provide anything their guests might possibly need. The rooms were very clean and spacious. I will definitely return!!! Great place to relax and feel like a home. Thank you so much for your review! We will grab sunset with you next time you stay! A great house, location, and homeowner! We had a wonderful time at a great house. The location and amenities were perfect. The house is fully stocked with all you need for an awesome beach vacation. We had no issues and the homeowners were great to deal with. I highly recommend this house. Nothing but great things to say about the entire experience. We would definitely rent it again. We just loved our stay in Indian Rocks Beach!! At our condo, we woke up every morning to the beautiful bay view of the inter-coastal water.Heather and Sean have wonderfully equipped the condo with all of the necessary amenities needed- and MORE! They are such gracious hosts and made sure our stay was enjoyable and accommodating. The condo itself was very clean and newly remodeled- complete with all new furnishings, furniture, electronics, bedding, and kitchen appliances. IRB was a lovely destination too. The restaurants were awesome: Guppy's, Keegan's, Crabby Bill's-all were within walking distance, and who could forget the 'yummies' at the Kooky Coconut! 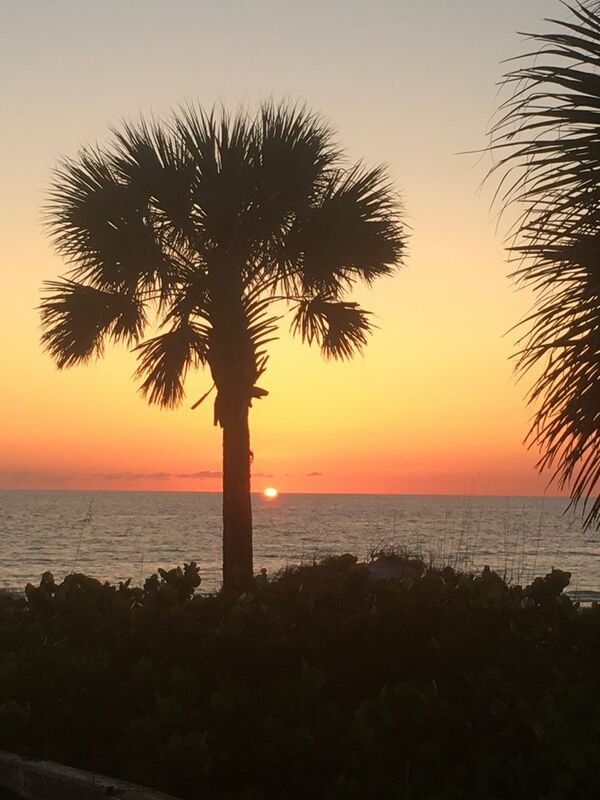 Just two blocks away was the beautiful, white sandy beach of IRB and the gorgeous sunsets over the Gulf. The only sad part about our condo at IRB was that we had to leave to go home. We'll be back for sure! Thanks, Heather and Sean for making us feel like we were 'home away from home'. Rates Subject to change based on availability and demand. For stays longer than a full month please contact us for quotation.